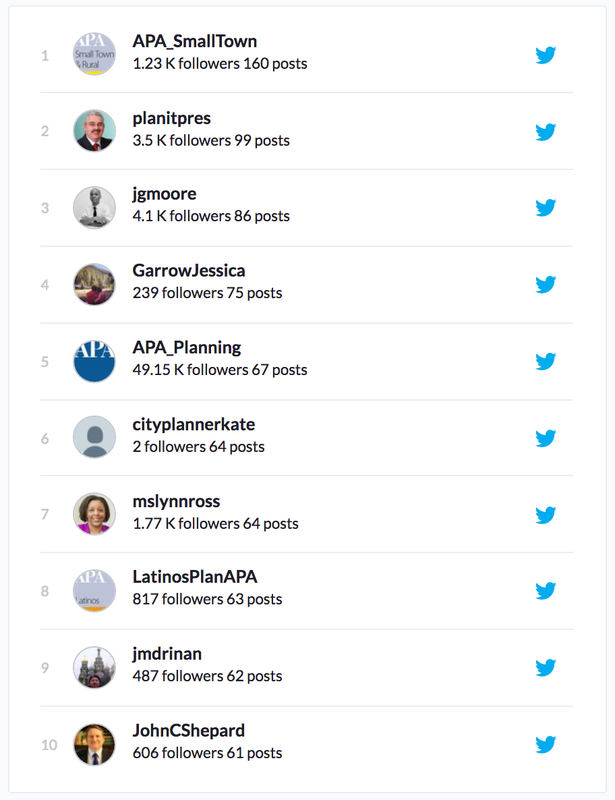 As we close the door on another exciting National Planning Conference, we like to dig into some of the stats on social media just to stand in awe of what I like to call the “other” PPP (Planner Posting Power). Attendees and non-attendees across the globe, thumbs-a-blazin’, took the message of planning to the social media universe at warp speed. 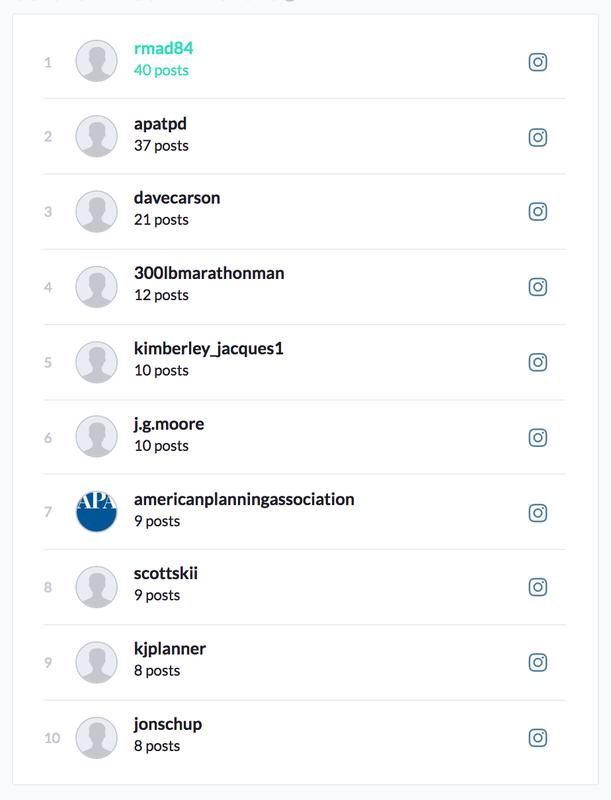 With tweets, status updates, Instagram posts, shares, snaps, and everything in between, the greater planning community wasted no time showing that they meant business. Let’s take a look at how it all went down. The official hashtag for this year's conference in New Orleans was #NPC18, and right out of the gates on Saturday, the hashtag began trending on Twitter. The trending didn’t stop there: #NPC18 continued trending in the Big Easy all through Sunday as well, and that’s no small feat considering the local NBA team, the New Orleans Pelicans, were dominating the local tweet landscape with their exciting playoff run. This was just a sign that the social forecast for NPC18 would be a busy and energizing digital conversation. Feel free to lace up for that victory lap, planners. You deserve it. If you follow APA on Facebook, you may have noticed the live stream of the NPC18 keynotes featuring Derreck Kayongo and Angela Glover Blackwell. Along with both Kayongo and Glover Blackwell’s keynotes, we also heard remarks from APA President Cynthia Bowen, FAICP, and Bob Rivers, executive director of the New Orleans City Planning Commission. You can replay the entire opening and closing keynote stream below. Also, stay tuned for more photos from NPC18 as they get added to the NPC18 photo album. 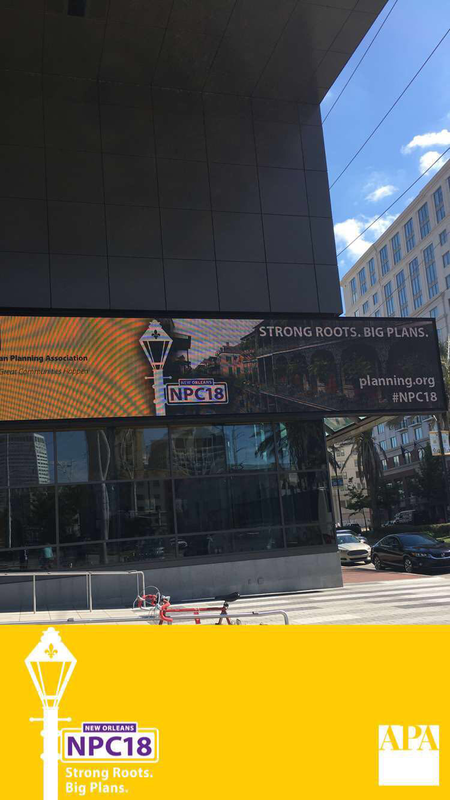 As APA did last year at NPC17 in New York City, we created a NPC18 Snapchat geo-filter covering the area around the convention center. We’ve also added a few more for this year in New Orleans. Snapchat users could also visit and use the new geo-filters for the three Great Places in America designations in New Orleans: Faubourg Marigny, St. Charles Street, and Jackson Square. There were nearly 40,000 views of the filters. Want to learn more about the five 2018 APA National Planning Excellence Award recipients? Check out each recipient's profile video, debuted at NPC18 during Monday's Awards luncheon, on APA's YouTube channel. 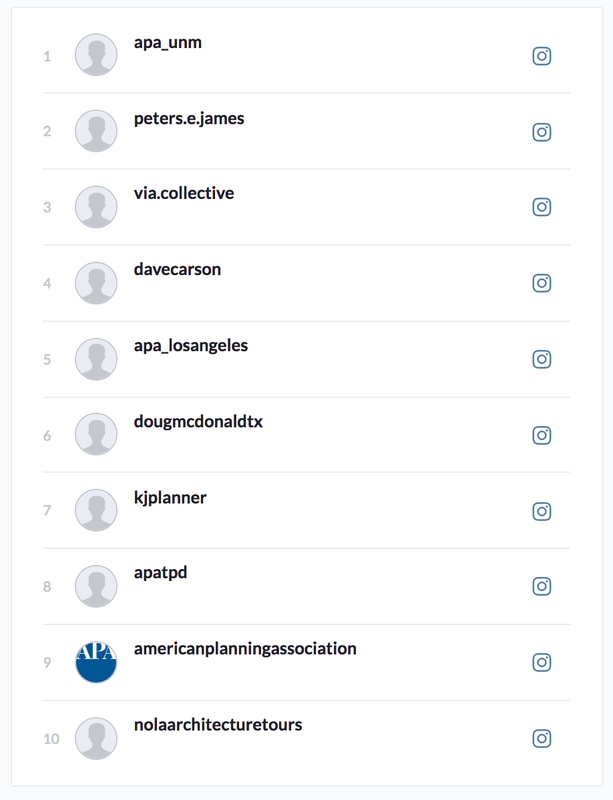 While the conference is officially over, the conversation streams on. Keep using and checking in on #NPC18 in the coming days and weeks. Revisit the all the great social media content, experiences, quotes, links, pictures, video, and more. We’ll do it all again next year in San Francisco. Top image: An NPC18 attendee captures a moment on her camera. Photo by Riverview Photography. Mike Johnson is APA's senior manager of digital communications.